Description: Sample color of roofing material. Different colors of roof covering. 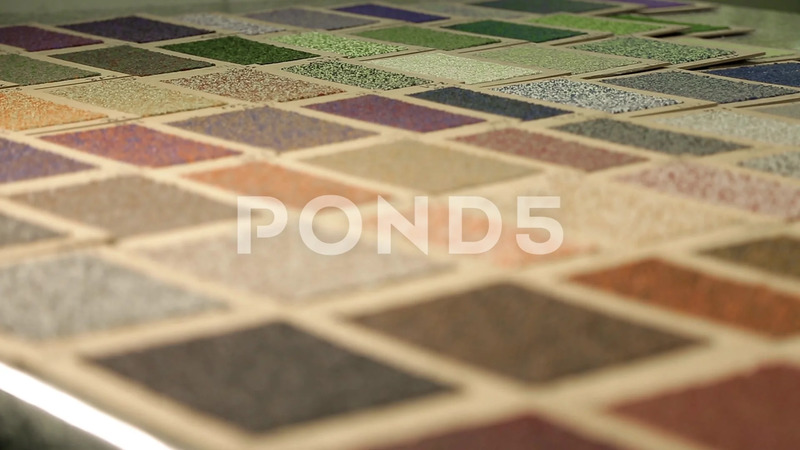 Large palette of colors of roofing material. Sample of the color of the roofing felt is laid out on the table. Selective focus.